A farewell ceremony was arranged in honour of outgoing head of KHEP, NEEPCO (Umrangso), Sri Hemanta Kumar Deka today (8th Dec, 2016) in the activity hall of the Vidyalaya at 11 AM. Principal and Vice Principal of the Vidyalaya welcomed outgoing HOP, Sri H. K. Deka and incoming HOP, Sri Debotosh Bhattacharjee together respectively. In his welcome speech, Sri P. V. Ramesan (Principal) highlighted the soft corner, eagerness to fulfil needs of the Vidyalaya and readiness to stretch helping hands of honourable outgoing HOP Sri Hemanta Deka and expected the same from new HOP Sri D Bhattacharjee. There was a befitting patriotic song by class VIII students on the occasion. It was followed by a valuable speech by Sri H K Deka who became nostalgic to share his long association with VKV Umrangso and how he took pain to bring the long list of Vidyalaya’s requirements to almost nil. He also advised students to work hard to achieve their goals and make the toil of NEEPCO authority and teachers a reality. 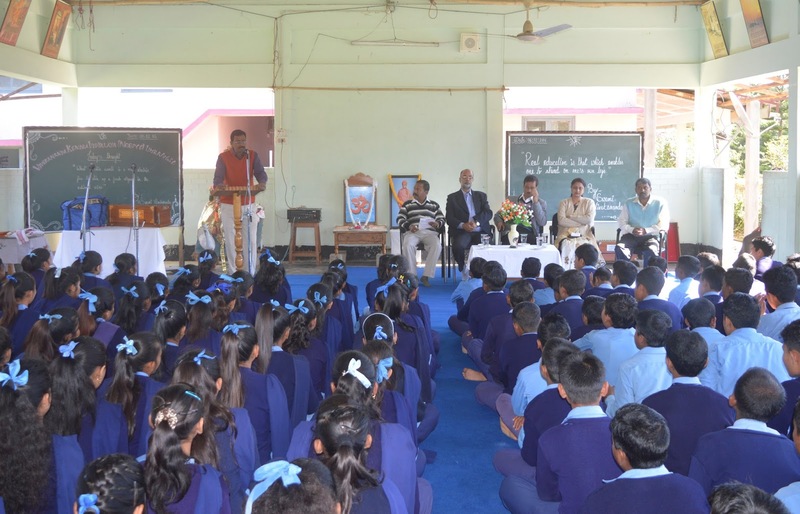 NEEPCO (KHEP), Umrangso organized a drawing competition on the theme “Anti-Corruption” among the students of class VI to X of our school during vigilance awareness week observed by the organization. The objective behind it was to create awareness among students that corruption leads to destruction.